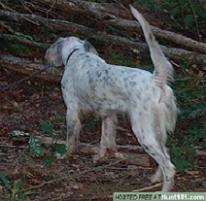 I live in Missouri and I have always run pointing dogs in NSTRA. I have purchased a Springer Spaniel pup that I am beginning to work with, and I was wondering if there were any field trials similar to NSTRA for flushing dogs? If there are, any help on contacts would be greatly appreciated. Go to https://essft.com/ for Springer trial info. Thanks for the information. I have sent them a request. UFTA event in Higbee Dec 16-17. Thanks for the information, Higbee is not far from me at all.